There are a lot of people who trust their Mazda cars greatly. A lot of people like how their Mazda keys look like. 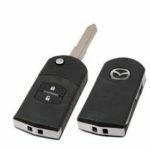 The type of Mazda key that you need if in case you need Mazda key replacement will depend on the Mazda model that you have and the year it was made. It is best that you know these details before you contact the right locksmith or dealer to help you out. Some of the popular car models wherein we offer key replacement are for the following Mazda 6, Mazda CX-7, Mazda 5, Mazda CX-3, and Mazda 2. If in case your Mazda model is not mentioned above, give us a call. We may offer key replacement services for your car model. We are also willing to answer inquiries and questions about the services we can provide. You have realized that you need key replacement at the soonest possible time. The best thing that you can do is to find the right locksmith that will provide the services that you need. We are one of the best locksmiths that you can check in the area. Remember that if you do not have a spare key, it will be hard to make a replacement on your own. You also cannot make a replacement if the key that you are using has a transponder chip. For Mazda key FOB programming, you need the help of the right locksmith. You know that a locksmith will have the ability to create a key replacement whether you have a spare key or not. It will be a bit more complicated to create a replacement without a key. The right locksmith can do it effectively. What if it is your key remote that you need to change? This is something that you cannot do on your own. We have our own tools and equipment that will make it possible for us to open your Mazda car with a little bit of effort when your remote is not working. 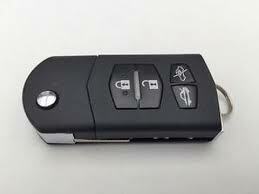 Take note that we also offer Mazda key remote repair and replacement. Let us say that you are using a Mazda key remote that is not as advanced as the Mazda keys available right now. This is still okay. We can help create the key replacement that you need. This will help you unlock your car and use it again. Your ignition does not start immediately and this has been happening for quite some time now. Your Mazda does not want to start at all. Take note that Mazda ignition repair will be more complicated than Mazda key replacement or Mazda key FOB programming. There is no need to worry though because our team of professional locksmiths will ensure what problem you are experiencing. 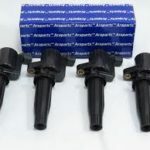 If it is your car keys, they will let you know immediately and if it is your ignition that is causing issues, they will try their best to repair your ignition cylinder. One mistake can break the whole system. Call us so that you can be assured that you will get the best services possible. You can also call us to inquire about our Mazda ignition repair service plus all of the other automobile locksmith services that we offer. Our team has all the skills needed in order to diagnose your issues. We will provide you with the best solutions for an affordable price. Just give us a call soon. If in case you encounter Mazda ignition problems or key issues while you are out on the road, you can give us a call. We will make sure that we can go to your location at the soonest possible time. If in case you need key replacement, we will bring all of the needed tools to make the Mazda key immediately. We can create a duplicate key if you need it. We can also make key replacement from scratch. We will be in charge of going to your location immediately. This will help you save time and money. You do not need to call for towing services anymore. Take note that there will be moments when you need to have your key programmed. The Mazda key FOB programming will be done at the soonest possible time. It will take about 10 – 30 minutes depending on the type of key that you have. Once your key gets reprogrammed, you can start using it. Take note that key programming is different from key cutting. You can ask us about our different services and will be more than willing to answer your questions. Let us say that you need to call us to get the services that you require. You can give us a call anytime. Our customer service agent will answer your call no matter what time you call. We need the model and the year of your Mazda. The information will help us know what items we should bring. The more accurate the items that we will bring, the faster that we can solve your issues. Mazda key FOB programming may require you to have right key blank cut. This will make the reprogramming easier. We can program without the key blank cut but it will take some time before we can finish the programming easier. Our team of professional locksmiths will handle all of the needed work. Give us a call soon. We can provide further information about all of our other services.